Project Drive is a cloud-based or on-premise project management software with robust built-in collaboration tools. It features functions that are tailored to the needs of business of all types and sizes, as well as tailored to the type of internal users from executives to project managers and employees to users with specific customization needs. High-level users will find its Portfolio Management, Cost & Revenue Report, and Dashboard modules a convenient way to oversee projects. For middle managers, Status Reports, Gantt Charts, and Resource Utilization, among others, can help project leaders keep a close tab on their deliverables and deadlines. Similarly, team members can use the software’s reminders/notifications, file sharing and attachment functions, and comments tracking for better and more efficient collaboration across project phases. Companies with enterprise-level needs can ask for a quote for unlimited templates, unlimited reports, and fully customized features. What Problems Will Project Drive Solve? Enjoy a seamless integration between your project management and collaboration tools within a single solution. Project Drive’s file sharing to internal and external communications work with its dashboards, project status reports, and timesheet tools, among others, to give you great flexibility when it comes to overseeing projects. Project Drive allows multiple project management at different levels. Executives and project leaders can easily track, communicate, and resolve issues at once with quick look ups via dashboards or drill-down tools. The software also gives you real-time data and accurate logged information so you can predict project trajectory with accuracy. Collaboration tools like file sharing, email integration, and comments tracking mean communication is always transparent and updated. Spotting bottlenecks or critical communication junctions is easy; hence, users are more accountable and responsive to sudden shifts in project direction. Each business is different, and might require a particular type of Project Management Software solution that will be adjusted to their company size, type of customers and employees and even particular niche they support. We advise you don't count on getting an ideal solution that is going to work for every company regardless of their history is. It may be a good idea to read a few Project Drive reviews first and even then you should remember what the solution is supposed to do for your company and your workers. Do you require an easy and straightforward solution with only elementary features? Will you actually use the advanced tools needed by pros and large enterprises? Are there any particular tools that are especially useful for the industry you operate in? If you ask yourself these questions it will be much easier to locate a solid solution that will match your budget. How Much Does Project Drive Cost? Project Drive is available in two editions, a Enterprise and Server Edition. 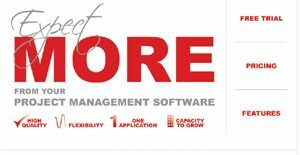 We realize that when you make a decision to buy Project Management Software it’s important not only to see how experts evaluate it in their reviews, but also to find out if the real people and companies that buy it are actually satisfied with the product. That’s why we’ve created our behavior-based Customer Satisfaction Algorithm™ that gathers customer reviews, comments and Project Drive reviews across a wide range of social media sites. The data is then presented in an easy to digest form showing how many people had positive and negative experience with Project Drive. With that information at hand you should be equipped to make an informed buying decision that you won’t regret. What are Project Drive pricing details? What integrations are available for Project Drive? If you need more information about Project Drive or you simply have a question let us know what you need and we’ll forward your request directly to the vendor.